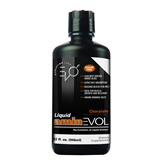 Aminevol Liquid Amino CHC 32 oz was created by Evo Labs to increase the performance and fitness levels of athletes. Thanks to its osmotic properties and fast absorption, Aminevol Liquid Amino CHC 32 oz boasts the ideal hydration formula. 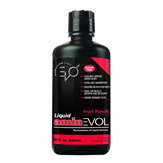 Aminevol provides an increase in muscle energy, assistance with the delay of central fatigue and encouragement of faster recovery and muscle tissue repair due to its level of branch chain amino acids (bcaa). Aminevol also combats fatigue and boosts energy. Scientific studies have shown that liquid amino containing BCAAs provide energy and muscle recovery at a much quicker level than if your body lacks BCAAs. If you do not have enough branch chain amino acids in your system your body will become fatigued easily and your muscles will become increasingly sore during exercise. Evo Labs provides the right levels of BCAAs to allow your body to perform at its optimum level of fitness and ability to achieve success. For the best results, Evo Labs recommends 1-3 tablespoons or ½ to 1 ½ capfuls daily. Enjoy the liquid straight or mix with 4-8 ounces of milk, water, or desired beverage. No refrigeration is necessary. Product should be store in a cool and dry place away from the reach of children.